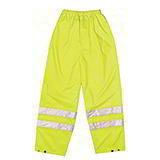 All kinds of warehouse, factory and outdoor working environments require high visibility clothing to be worn at all times to reduce the risk of personal injury and accidents. At the bare minimum, this requires hi vis vests, but can also involve all over high visibilty workwear, including jackets and trousers. Whatever your requirement, we can supply quality clothing that will keep your staff safe – and at prices that you’ll like, with extra discounts when you buy in bigger quantities. And as these are sold in single units, you won’t have to buy many to start taking advantage! 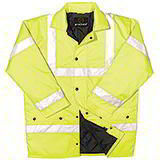 Our range of high visibility clothing has been manufactured to a high standard and conform to at least EN471.They’ve also been made with the wearer in mind, with options for keeping warm and dry in all weathers. 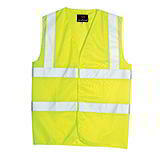 All our high vis clothing is available for rapid dispatch and delivery – we usually dispatch within 24 hours and deliver the following working day.